Is Your Dryer Vent a Fire Hazard? If you had to guess, which household appliance would you say is responsible for nearly 17,000 house fires (about 4.5 percent of all house fires) in North America each year? If you guessed “clothes dryer,” here’s hoping your knowledge didn’t come from personal experience! The statistics just get more grim from here. Home fires started by clothes dryers come at an annual cost of $236+ million in damaged property, not to mention injuries and fatalities. Sadly, all too often the root cause of dryer-based home fires is simply not realizing the risk is there. If you don’t know that your clothes dryer could be a fire hazard, how can you know to take steps to prevent a fire from starting? We hope these helpful tips for cleaning and maintaining your clothes dryer will keep you and your family safe from now on. Here at Clean Air Solutions, we will never forget the time we were called out to diagnose the reason a client’s clothes dryer had suddenly stopped drying the clothes well. The moment our technician opened the dryer door, he immediately spotted part of the problem. The lint trap was literally overflowing with lint! He ended up with two large handfuls of lint just from cleaning the front and back sides of the lint trap itself. There was plenty more lint to be found down in the deeper recesses of the front lint trap, which he retrieved with special lint brushes. It was no wonder that the clothes dryer wasn’t able to do its job very well. The trapped lint had formed a very effective blockade between the heated air and the interior of the dryer, where all the wet clothes were tumbling about. But far worse than a simple inability to dry clothes was the fire hazard that much accumulated lint represented. Here, we were able to stop a potential fire hazard in its tracks by helping the customer learn how to do at-home maintenance on their clothes dryer. In the same way that our sister company, Shipton’s Heating & Cooling, always recommends clearing a safety perimeter of 3 feet or more around air conditioning and heating equipment, we recommend the same for your washer and dryer set. Otherwise, trapped dust, debris, lint, old dryer sheets, missing socks, and all manner of other potentially flammable detritus may over time get trapped within sparking range of your clothes washer/dryer. The more spick-and-span you keep the entire room in which your clothes washer/dryer set is housed, the safer you and your family will remain. If your clothes washer/dryer set is very heavy, awkwardly located, or simply difficult to move, ask your technician to do this cleaning during your annual appliance inspection and service call. From the looks of it, most of the lint that gets trapped collects in the appropriately named “lint trap.” So why would you need to schedule a professional dryer vent cleaning on top of simply keeping the lint trap clean? 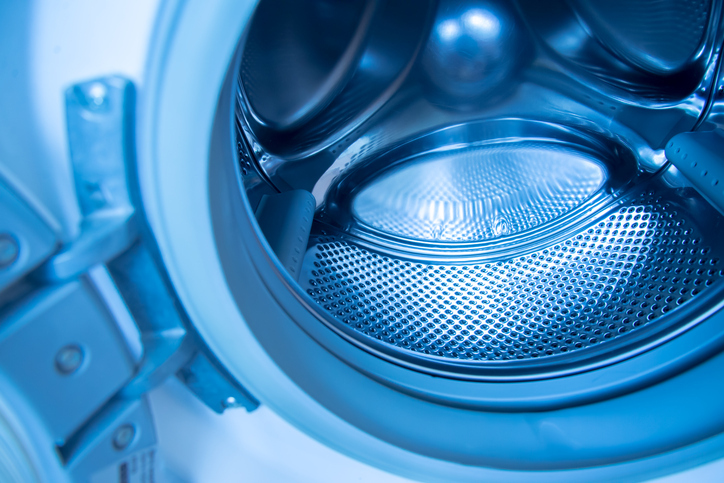 Unless you work in the HVAC or home appliance industry, you might not even realize that the average clothes dryer has more places deeper inside the machine where lint can get trapped. One such place is the dryer vent, which lets out the excess moisture collecting in the dryer from your wet clothes. Clearly, you want your dryer vent to be able to do its job efficiently. Otherwise, you will have to run your dryer for longer and longer cycles to achieve the same level of drying. This is a signal that lint has begun to clog up the dryer vent. When this occurs, the moisture cannot escape and your clothes take longer to dry. Even worse, the more lint that builds up inside the dryer vent duct, the more dangerous your dryer becomes. At this point, one tiny spark is all it can take to set your home ablaze. In many homes, reaching the dryer vent, disconnecting it, cleaning it out, replacing it, and moving the dryer back into place is neither easy nor safe. As well, opting for a DIY approach to cleaning your dryer vent will remove some of the trapped lint, but it will also release quite a bit of it into your inside air, causing allergy symptoms and (for vulnerable family members) the potential for asthma attacks. Here, it is far better to invest in a professional dryer vent cleaning, since this will capture 100 percent of the trapped lint quickly, safely, and efficiently and transport it away from your home space. BONUS: Wipe Off Those Moisture Sensors! If you own one of the newer high efficiency clothes dryers that use moisture sensors rather than a thermostat to gauge when your clothes are dry, those little sensors need some occasional TLC as well. All you need to do is dab a bit of rubbing alcohol on a soft cloth and wipe the sensors clean of any built-up film, lint, or debris. If you have any trouble locating your dryer’s moisture sensors, your technician can do this during your annual inspection and maintenance call. Taking the time to invest in a bit of annual preventative clothes dryer maintenance is always a smart choice. Here at Clean Air Solutions, we are happy to come out and inspect, maintain, repair, and clean your clothes dryer. Give us a call to schedule your service appointment!